An event is any gathering of people for a specific purpose. Planning is a very important element to having a successful and memorable wedding ceremony event. It gives event organizer the opportunity to come up with all the essential elements and putting them together to be sure that all activities work simultaneously as planned (Sood & Thakkar, 2015, p. 55). It is advisable not to leave all the planning activities to someone else discretion until you have first given it some thought. However, it is recommended to seek some advices from the experts, but final decision should be from you. You should review all the necessary details and options to find out what matters to you and what does not. The purpose of this report is to highlight important insights on how a Multi-Cultural Nigerian and Indian Wedding is planned and organized. Most people are used to the kind of wedding where a bride weds a bridegroom from the same ethnicity, but this report is prepared to bring about the whole picture of real multicultural wedding. When planning for the wedding, you should come up with a plan on how the musicians, florists, receptionists, and the general event manager are going to work together. Theme selection is an important part for a wedding. It is determined by different factors such as the wishes of the family members, relative and the dreams of the couple (Graham, 2007, p. 56). A wedding theme is simply a certain style choice for a memorable day. This is reflected based on the choice of dress code, invitations, music, and decoration of the venue (Sood & Thakkar, 2015, p. 55). Wedding theme should create a unique style and mode for your ceremony and this entirely depends on the preferences of the bride and groom. Nigerian wedding ceremony-Nigerians have different ways of celebratingwedding ceremonies. Their weddings are very stylish and very extravagant. 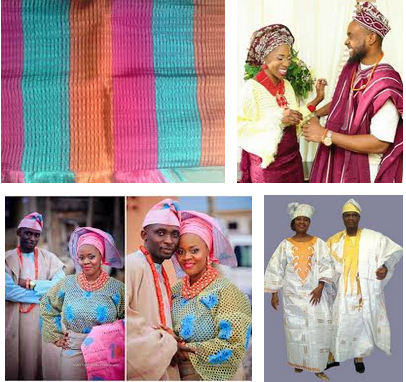 Wedding design and outfits planning is an important element of a Nigerian wedding. The venue for weddingwill be spacious and well designed to accommodate hundreds of guests invited. There will be enough parking for exotic and classy cars of all invited guests. Apart from the attires, other things that make a Nigerian wedding theme look fantastic include money spraying activities mainly by the rich uncles and aunts, and the Yoruba dances which start by a sound of gong. The event organizer will include these parties in the list of wedding activities. There will be more than enough to drink and to eat. 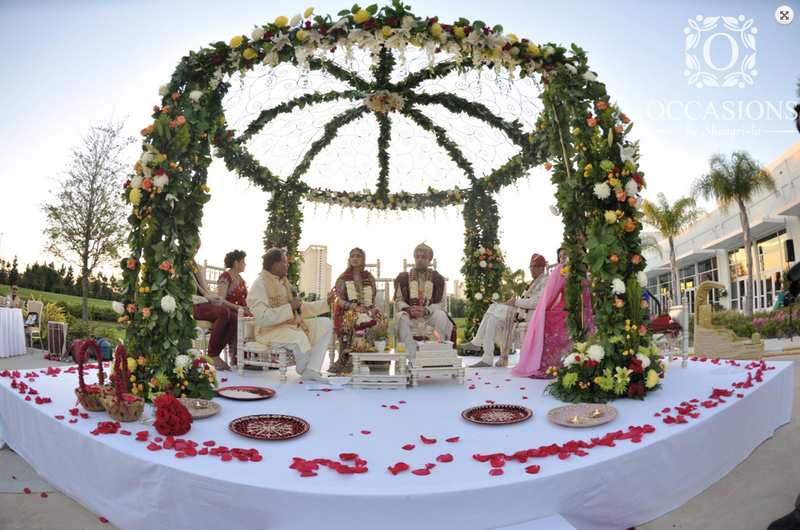 Indian wedding ceremony AnIndian wedding ceremony should be impressive and captivating. Some of the areas that will be emphasizedinclude bride and groom outfits, food, ornamentation, entertainment like the DJ music, and catering services. The idea will be to make the entire occasion successful and blissful (Sood & Thakkar, 2015, p. 55). Vara-satkara is an important part of an Indian wedding theme. This is where the groom and his party are received and welcomed at the venue with music, perfume and flowers. Other things that complete the theme of Indian wedding include jewel-tone attires with a shawl, groom’s precession ceremony (baraat), blessing ceremony (aashirwad), and to sum it up the spicy and vegetarian dishes (Sood & Thakkar, 2015). 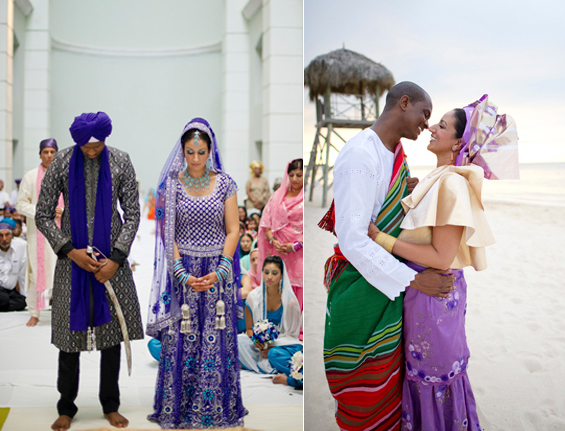 What makes a multi-cultural Nigerian and Indian wedding so special is the combination of these totally and completely vibrant traditions into a single formalized celebration. A neutral destinationto hold the wedding ceremony will be selected. Wedding venue section is one of the first and most important decisions an engaged couple should make. It will be determined by several factors such as the budget, wending vendors, décor, and the type of attire you will choose for your wedding. As this is a multi-cultural Indian and Nigerian weddingwith more than 250 guests who will be attending the wedding, it was important to choose a spacious and high-class hotel. 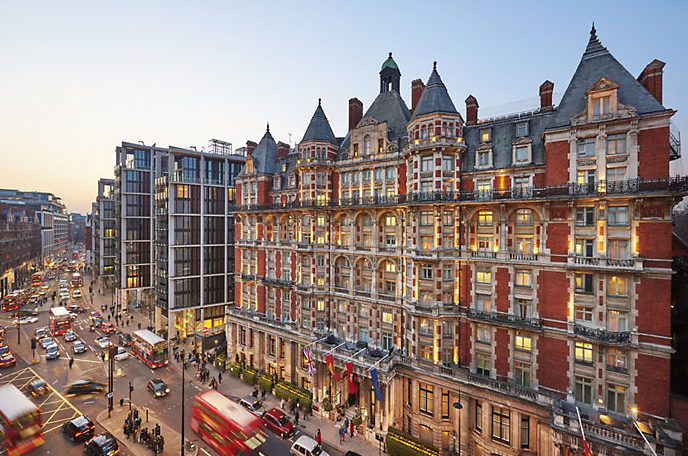 After consulting with all the members from both families, it was decided that Mandarin Oriental Hotel in Hyde Park, Londonwill be best suited for the wedding. This is a five-star hotel that is located in the Knightsbridge district of London. 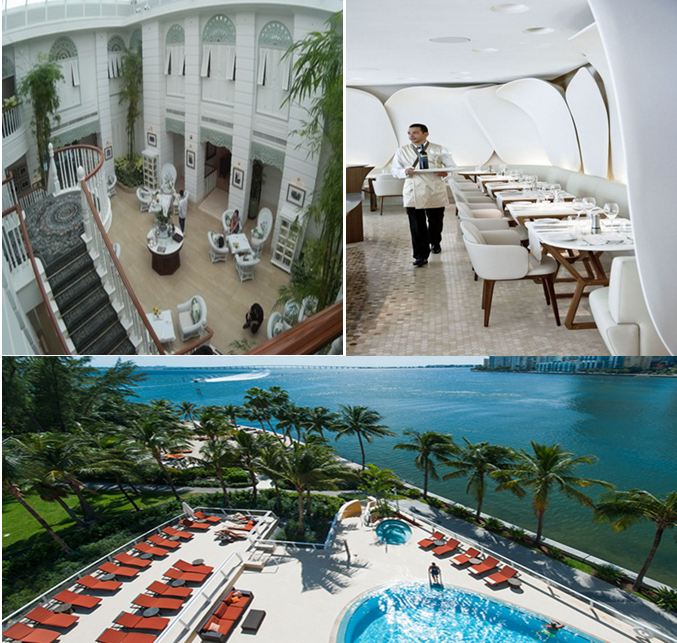 It is owned and managed by Mandarin Oriental Hotel Group. According to Mandarin Oriental Hotel Group, the hotel has always been the perfect destination for most events hosting activities including the grandest weddings events and other smaller and friendly affairs. It also borders the finest royal part in the London capital. The hotel has impressive, spectacular interiors and Victorian frontage to give you the exemplary London experience. Other outstanding features of the hotel include enough and devoted event managers to assist you in planning for your wedding ceremony from the beginning to the end and an outside terrace where you and your partner can sip some champagne in the open air. The hotel gives 20% discount on all the services and treatment received by the couple during their stay in the hotel. Some of these services and treatment will include pedicures and manicures, not forgetting the serene beauty at the heat and water oasis services. If the wedded couple decide to have their honeymoon at the hotel they will be entitled to various honeymoon services in the hotel that range from VIP status, full breakfast for two on a daily basis, $100 Spa Voucher, perfect menu and best drinks to complement their menu choice, and complimentary upgraded suite among other services ( Christoff, Wentzel, & Wetherbe, 2005, p. 44). The interior of the hotel will be organized in such a way to bring about a combination of the two vibrant cultures into one colourful, extravagant, and welcoming venue. Nigerians love expressing their true nature of high class lifestyle. Therefore, the design of the venue will be elegant, classy and unique. Indians on the other hand love having memorable, inspiring and charming event of their life. Therefore, it is important to include dazzling imagery, floral blooming on all sides of the venue, and beautiful décor in the venue (Graham, 2007, p. 41). Lighting is one very important element in a wedding ceremony. Most of the times people overlook or even do not consider this element in wedding ceremonies. If it is done correctly, it helps in transforming and ensuring that wedding theme is executed and fully achieved (Anna, 2017, p. 3). 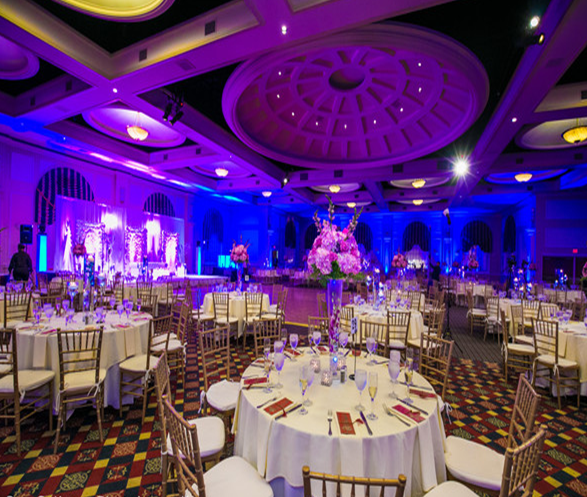 For example Chandeliers are great and classy methods to add light while maintaining the atmosphere of a wedding. 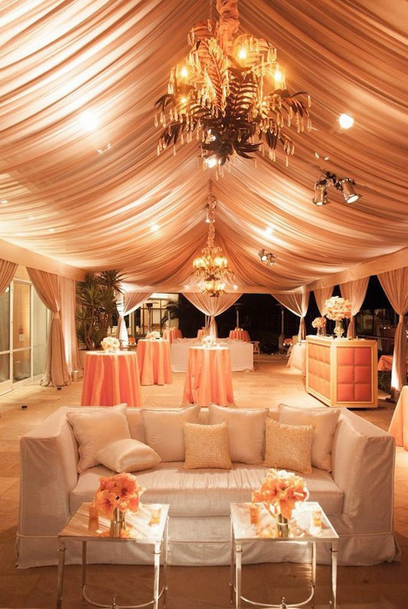 Chandeliers can be used throughout the wedding venue or can be placed at the reception area. Sometimes they are also used as an accent on specific areas of the venue. The whole idea of using chandelier is to transform and revolutionize any space within the venue (Graham, 2007, p. 30). One thing you should always remember when selecting Chandelier is getting one that complements well with the rest of the venue (Berrios, 2010, p. 33). For the purpose of this wedding, the event organizer will peak pink roses, and white hydrangea tucked into lush greeneryto add a funky geometric pattern to the wedding venue. Most Indian weddings are done in Mandap décor. This is a special alter where the couple together with their parents will seat during wedding ceremony. It should be well adorned with beautiful flowers, bells, and other decorations (Sood & Thakkar, 2015, p. 41). Itshould have four main pillars which willsymbolize the four parents to the couple that worked hard to raise their kids. It will be well raised to allow the guest to clearly observe the wedding ceremony from their seats. Many guests will be from Nigerian and Indian background; therefore, to give a special feel, particular attention is given to the type of fabric which includes special fabrics such asSari and Aso oke that will be used to drape the stage. Sari is an outfit commonly used by Indian women. It is usually a long strip of cloth that varies from five to eight meters in length. It is mostly wrapped around the waist and the other end is used to curtain the shoulder exposing the midriff (Sood & Thakkar, 2015, p. 39). Traditionally, sari should be red, with some golden embroidery and this is the reason why it is mainly the perfect choice for most Indian brides. Some of the commonly used wedding saris include Banarasi sari, Kanjeevaram sari, Assam sari, Sambalpuri sari, Paithani sari, Zardosi sari, and Gota sari among others. On the other hand aso oke is a common fabric among the Nigeria Yoruba people.It is used to make wrappers for women and Agbada for the men. A Nigerian wedding is not complete without the Aso-oke fancy attire. The fabric can be multi coloured, bright coloured, or monogram (Babatola, 2017). Selecting the best and perfect match for the wedding sometimes can be a challenging and confusing thing especially when planning for a multi-cultural. The colour for the family and friends attire might not necessarily be the same as that of bride and groom but the couple should agree on an identical colour and apparels scheme (Babatola, 2017). Therefore, family and friends from Nigeria will be required to choose for that Aso-oke garment that closely matches with the theme of the venue. Therewill be a combination of the two countries’ rich heritage and cultures in the wedding reception and catering menu. Both Nigerian and Indian wedding feasts are known to be outstanding and extravagant affair. When planning for catering services, it is important to consider the type of food to include in your menu (Anna, 2017, p. 3). Preferences on both cultures will be considered. Some of the commonly and best food served at a Nigerian wedding will include fired rice and Moimoi, Amala (from yam flour) and vegetable, Jolof rice and fried plantain, and pounded yam and Egusi soup among other dishes. Traditionally, in India, wedding catering menu is a very important element. There are different dishes served at an Indian wedding including both vegetarian and non-vegetarian. 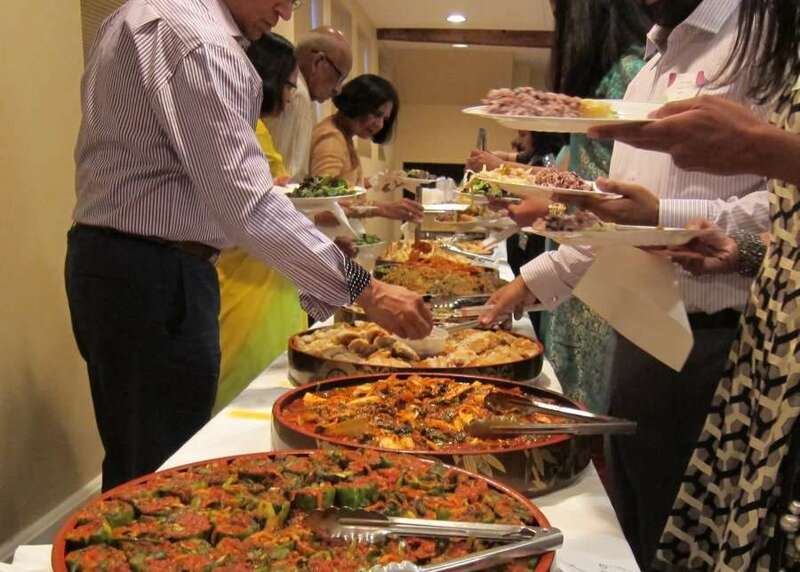 The menu will include some of the main Indian wedding dishes such as fragrantly cooked rice, chapatti and naan, ice cream, assorted breads, veggies, chaat and samosas, spring rolls, khadvi, and petis among other dishes. Some of the main dishes will be spiced and some not. The wedding will provide attractive and refreshing cocktails for the guests to collect as they arrive at the venue. There will be some hors d’oeuvres and fancy drinks like champagne displayed on colourful trays for guest to grab as they arrive to the venue. 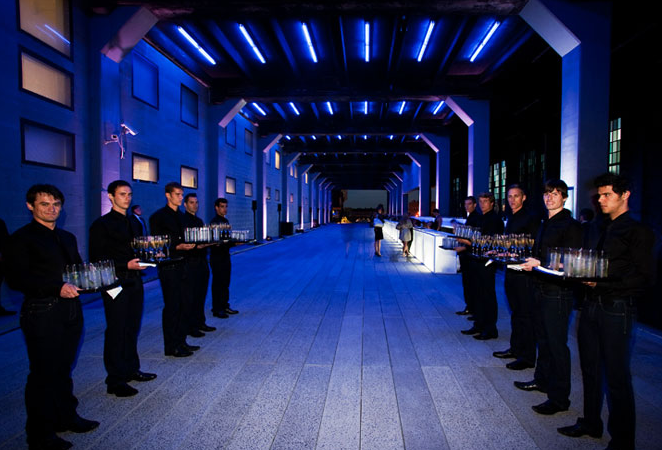 Some waiters will also be at the entrance having drinks trays on their hands for guests as they arrive to the venue. Additionally, some reception ushers will also be around to help in escorting arriving guests to their ceremony seats. Music is one of the most indispensable components of any event such as a wedding. In African culture, a wedding is an occasion which is celebrated with a lot of eagerness and enjoyment and without music and dance; there is no celebration. 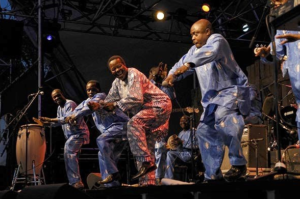 Therefore, to go with the traditional theme a Nigerian Yoruba band has been booked who will perform live in front of all the guests from the Mandarin Oriental Hotel in Hyde Park stage. The band will serves as a recipe to bring life and captivating mood in the wedding venue (Glenn, 2011, p. 82).The band will play music that all the guests can shuffle to while dancing such as juju and afro juju music. 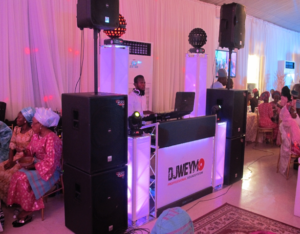 An African DJ will also be booked to entertain the guests with popular Afro beat music, R’n’B, reggae and some classic music. Indians too like parting especially after the wedding. 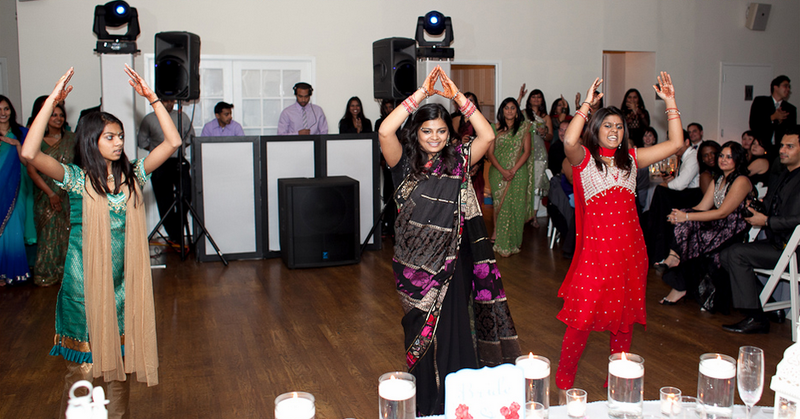 Some of the common Indians parties included in the wedding plan are Sangeet parties, Mehndi parties, and Parades where guests will be given the chance to dance, sing and share fun moments on the stage (Sood & Thakkar, 2015, p. 66). It will be wonderful watching them dance their heart out while sharing the happiness with the couple on stage. They will also engage the guests in an innovative and creative way with their moves and dancing style. There are different factors that determine the cost or a wedding budget. One is the ethnicities or the cultural background of the couples ( Maren, & Wang, 2015, p. 83). Location is another determining factor that was considered when planning and budgeting for the wedding. Both Indian and Nigerians wedding are usually fascinating in a way, and this will greatly influence the cost to hold the wedding. It will cost roughly between $ 40,000 to $ 265,000 to throw the multi-cultural Indian and Nigerian wedding at Mandarin Oriental Hotel in Hyde Park, London ( Christoff, Wentzel, & Wetherbe, 2005, p. 4). The following is a breakdown of essential items that will be budgeted for when planning for the wedding. Berrios, V. (2010). Town and Country the Bridesmaid’s Companion: The Complete Guide to Attending the Bride. London: Sterling Publishing Company. Christoff, Wentzel, & Wetherbe. ( 2005). Destination Weddings. Exotic Locales and Stress-free Nuptials Could Mean the End of Bridezillas, 20. Glenn, B. (2011). Events management. Abingdon: Butterworth-Heinemann. Graham, B. (2007). Events design and experience. Abingdon: Routledge. Maren, & Wang. (2015). Academy of Management Learning and Education. Engagement in Cultural Trigger Events in the Development of Cultural Competence, 461-481. McDonald, K. (2005). Your Unique Wedding: Say I Do with a Twist. New York: Career Press. Sood & Thakkar. (2015). Modern Indian Weddings. London: AuthorHouse.